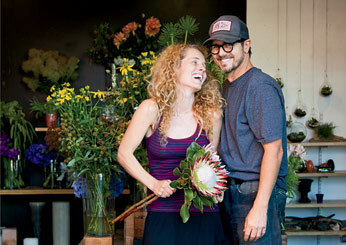 Mollenkamp adores the natural, often woodsy arrangements from Teri Ryan and Cain DeVore of Clementine Floral Works in L.A.’s Silverlake neighborhood. 3936 Sunset Blvd. ; clementinefloralworks.com. 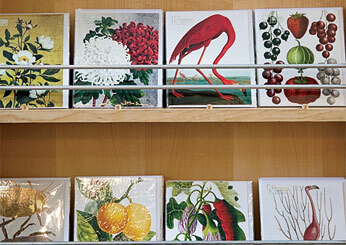 “I’m a sucker for good stationery, especially anything letterpressed. Pulp has an excellent selection, as well as fun wrapping paper, kitchen items and gifts.” 452 S. La Brea Ave.; 323-937-3505. 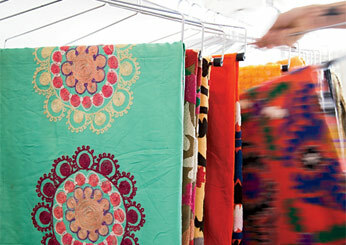 “I love Distant’s textiles and Turkish housewares, like the one-of-a-kind ceramics and colorful handwoven table runners.” The online shop also carries patterned throw pillows and other pieces from around the world. distant-la.com.